U.S. National Guard photo by Col. Richard Goldenberg New York Army National Guard. 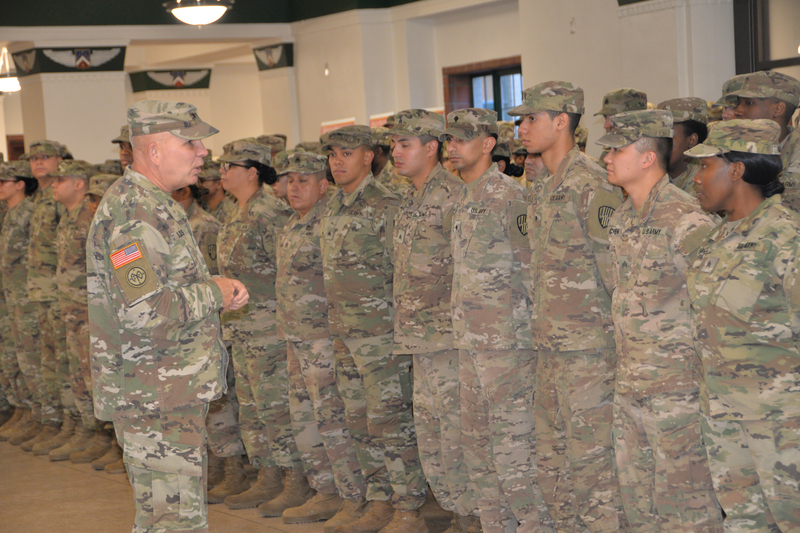 NEW YORK-- New York Army National Guard Maj. Gen. Ray Shields the Adjutant General for New York and commander of the New York Army National Guard speaks with Soldiers of the 369th Sustainment Brigade as they mark their return to the Harlem Armory after a four-year renovation project November 10 2018. The Soldiers returned in time to participate in the NYC Veterans Day Parade on November 11 commemorating the centennial of the end of WWI.